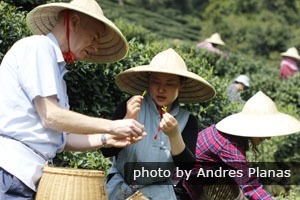 No need to tip the tea tip pickers. 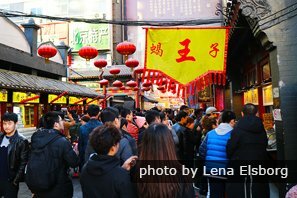 In Mainland China, tipping or gratuities are not common practice in most sectors of life, but it has become okay to tip tour guides, drivers, and hotel bellboys in recognition of their good service. Tipping in Hong Kong and Macau is more common due to the Western influence. Below, you will find practical and helpful tips for tipping in China, including Hong Kong and Macau. Tipping in Mainland China is not expected or required, and in some places it is even frowned upon. However, superior hotels and restaurants catering to many Western tourists, porters, room service and wait staff may have become accustomed to receiving small tips. If you wish to you can tip these people in cash, or even through some small gifts brought from your country. The currency used in China is renminbi (RMB), also known as yuan (¥). Other currencies may not be accepted, except in the largest hotels. 1 yuan is equivalent to about $0.15 U.S. dollars. In upscale hotels, tipping 5–30 yuan (1–5 USD) to the bell boy who carries your bag(s) may be appropriate. If you are uncertain about how much to give, just tip based on your bill. Generally, 10–15% of the bill is the most proper amount. In some hotels a service charge is already included within your payment so an extra couple of dollars should be enough for the room attendant if you stay at the same hotel for a couple of days. Tipping at hostels or inns is generally not expected. We have more guidance on China Hotels. In the past it has not been customary to leave tips at restaurants in China, with the exception of upscale restaurants due to Western influence. Tipping at fast food restaurant, roadside stands, and most restaurants is neither necessary or expected. At fine restaurants in larger cities where they are more accustomed to Western visitors, you can leave small tips to your waiter to show your appreciation of their service of about one or two dollars, that is if you are satisfied with the service. Leave more if you are happy with the service or none if you are not. Due to the uncertainty of when one should or should not tip in China, it may be a better idea to leave the tip on your table rather than giving it directly to the waiter in order to avoid awkwardness. Tipping taxi drivers in China is not required. In fact, in some places such as airports or other establishments it may illegal. However, if the driver helps you with heavy luggage or makes a special effort to reach your destination on time, then offering a small tip may be well-received. A good rule of thumb is to keep smaller Chinese bills with you since drivers don&apos;t always have change, especially since most transactions in China today are done through WeChat and AliPay. 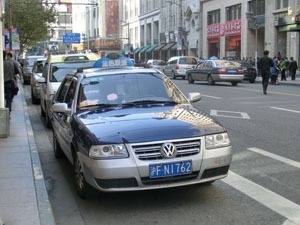 Do not worry if taxi drivers refuse your tips as it is sometimes against the law for them to take tips or some may have moral objections to tipping for fear of it&apos;s negative connotations within Chinese culture. For a driver, the cost would be half the amount, and a separate offer from each tourist is best. Of course, only tip if the service has truly satisfied you. Tipping in Hong Kong is appreciated and important, just like the rest of the world. The official currency used in Hong Kong is the Hong Kong Dollar (HKD). HK$1 is equivalent to US$0.13. HK$10 to 15 for per piece of luggage carried for you is appropriate. 2% of the daily room charge will suffice for the room attendant as well as any smaller change when delivering room service or anything else to the room. HK$ 5 to 10 at inexpensive restaurants, and about 15% of the bill at fine restaurants, where deserved. Although be aware, this may automatically be added on to your bill as a service charge. What many travelers may not be aware of before coming to Hong Kong is that in some hotels and upscale bathrooms you will find attendants in the bathrooms ready to hand you a towel to dry your hands or freshen you up with a spray of perfume or aftershave. An unspoken rule of thumb in Hong Kong is to leave bathroom attendants a few coins as it is much appreciated. Please round the fare up to the next convenient bill size. For example, if your ride comes to HK$48.53, the best practice would be to pay HK$50 and let the driver keep the change. If you prefer, you can also choose to tip a few extra dollars, especially if the driver helps with heavy luggage or takes special efforts to get you to your destination on time. Some drivers may object to receiving tips (for the same reasons given above for Mainland China), whilst others may expect a tip and not give you change automatically assuming it is theirs to keep. For a 1 person tour, we suggest paying HK$100 to 200 a day for a tour guide. 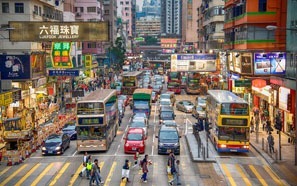 For a driver, it would be HK$100 per day for 1 person. Keep in mind that in some guide and driver jobs, workers are dependent on tips to sustain their income in order to earn enough money, though we ensure our employees are paid a suitable salary. Tipping is not common practice in Macau as a 10% service charge is included in the price of most goods. However, a small tip is generally appreciated by bellhops and waiters. The currency used in Macau is the Macanese Pataca (MOP). 1 Macanese Pataca is equivalent to 0.12 U.S. dollars. Tipping is not always necessary whilst on one of our tours which include a visit to a casino in Macau. This is due to the high amount of visitors although it is appreciated every now and then from hardworking staff. Usually, the croupier keeps 10 to 15% of the winning. With bar staff and waiters, a small tip off a couple of USD is appreciated dependant on their helpfulness and quality of service. 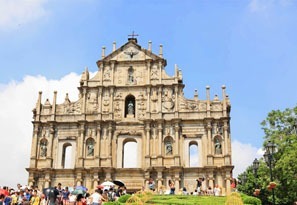 In general, there is no entry fee charged in the casinos of Macau, however, you must be over 18 years old to get admission and passport ID may be required. 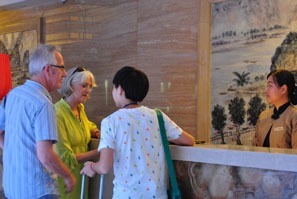 Enjoy China with your local guide, with no pressure to tip. 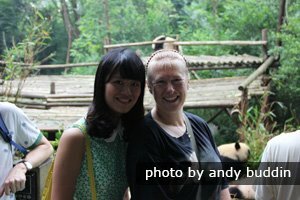 China Highlights guides are trained to a high standard to deliver our high-quality, flexible, and customer-focused tours. We can even pick a guide to suit you. In a country where pay is tight, tipping is rare, and corners are often cut where service is concerned, you&apos;ll be pleased to know we promote a culture of going the extra mile to give you a great China experience. See why 10s of 1,000s choose us. 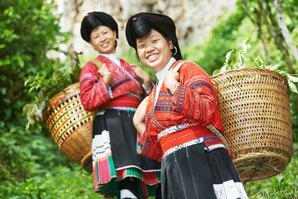 Our travel experts specialize in designing trips to customer requirements, so that you can discover China your way. Before you set foot in China let us know exactly what you want. 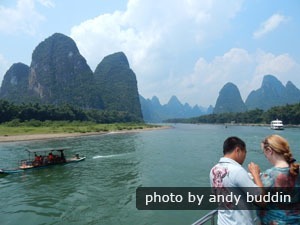 Find out the China Highlights difference by exploring our tour descriptions. We have specialist photography guides on our photo tours.